AH! The fun and frolic of the markets. What a great way to relax, try your bargaining skills and find that special gift, momento or special treasure. Ever notice how kids enjoy the markets, well they bring out the child in us all. Go on admit it! So now that your thinking 'maybe I'll just go and have a look'. Well go on ! Because the Gold Coast has such a great variety of fabulous markets. General markets, Beachside markets, Art and Craft markets, Farmers markets. All waiting to be explored. 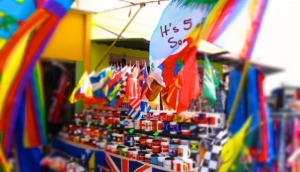 They have bargains, treasures, trinkets, souvenirs, gifts, clothes, crafts, all waiting to be discovered. There are drinks, sweets, candies, cakes, pies, ice creams, gelatos, all waiting to be indulged.The only thing you need to take with you is fun and adventure.